For the first time in the University of Toronto’s history, a scholarship has been established with video gaming as part of the eligibility criteria. 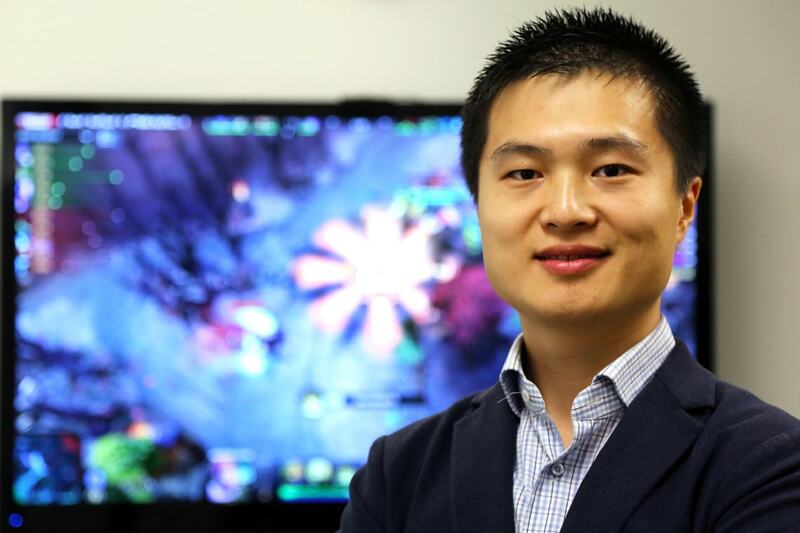 U of T alumnus Victor Xin will fund a new scholarship to support a student with high academic achievement and a passion for eSports. Short for electronic sports, eSports is the growing world of competitive video gaming. The Victor Xin Scholarship in eSports will be awarded to a full-time undergraduate student in the Faculty of Applied Science & Engineering who has achieved a minimum 3.5 GPA. The recipient will demonstrate a passion for eSports or gaming through engagement in a leadership role or participation in extra-curricular clubs or activities. Course selection, design projects or research may also be considered. The first scholarship will be awarded in fall 2018. Xin, who graduated from the Faculty of Applied Science & Engineering in 2008, also volunteers as the chair of U of T Engineering’s alumni mentorship program. He said that when he was an undergraduate student, he didn’t relate to the traditional clubs and sports the university offered. Instead, he gravitated towards video games – initially StarCraft, now Dota 2 when he has the time – and put a lot of energy and effort into building a community for other U of T Engineering students who were also passionate about eSports. Xin started the University of Toronto eSports Club and organized the University of Toronto Cyber Games in 2008, the first student-run eSports tournament held on a campus in North America. Today, eSports is a lucrative global business: the popular League of Legends game drew an audience of 36 million for its World Championship in 2015. Players earn millions in prize money at tournaments that are broadcasted by major networks such as ESPN. Global eSports revenues are estimated to exceed $1 billion by 2019. U of T is among a growing list of North American institutions to reward eSports players with academic scholarships. “I hope eSports becomes even more mainstream and draws more attention,” Xin said.